Kenneth Williams died last night after being given a lethal injection. THE US STATE of Arkansas executed its fourth inmate in eight days last night. The killing of Kenneth Williams (38) wrapped up an accelerated schedule of executions with a lethal injection that left the prisoner lurching and convulsing 20 times before he died. Williams was pronounced dead at 11:05 pm, 13 minutes after the execution began at the Cummins Unit prison at Varner. An Associated Press reporter who witnessed the lethal injection said Williams’ body jerked 15 times in quick succession, then the rate slowed for a final five movements. J.R. Davis, a spokesman for Gov. Asa Hutchinson who did not witness the execution, called it “an involuntary muscular reaction” that he said was a widely known effect of one of the execution drugs. “I extend my sincerest of apologies to the families I have senselessly wronged and deprived of their loved ones,” Williams said in a final statement he read from the death chamber. I was more than wrong. The crimes I perpetrated against you all was senseless, extremely hurtful and inexcusable. Williams also spoke in tongues during his last statement, but his prayer faded off as the sedative midazolam took effect. His final words were, “The words that I speak will forever be, will forever …” before he fell silent. “Any kind of movement he had was far less than his victims,” said Jodie Efird, one of Boren’s daughters, who witnessed the execution. State officials have declared the string of executions a success, using terms like “closure” for the victims’ families. The inmates have died within 20 minutes of their executions beginning, a contrast from midazolam-related executions in other states that took anywhere from 43 minutes to two hours. The inmates’ lawyers have said there are still flaws and that there is no certainty that the inmates aren’t suffering while they die. “The long path of justice ended tonight and Arkansans can reflect on the last two weeks with confidence that our system of laws in this state has worked,” Hutchinson said in a statement issued after the execution. Arkansas scheduled the executions for the final two weeks of April because its supply of midazolam, normally a surgical sedative, expires on Sunday. The Arkansas Department of Correction has said it has no new source for the drug — though it has made similar remarks previously yet still found a new stash. Williams’ lawyers said he had sickle cell trait, lupus and brain damage, and argued the combined maladies could subject him to an exceptionally painful execution in violation of the U.S. Constitution. Arkansas’ “one size fits all” execution protocol could leave him in pain after a paralytic agent renders him unable to move, they’d argued. 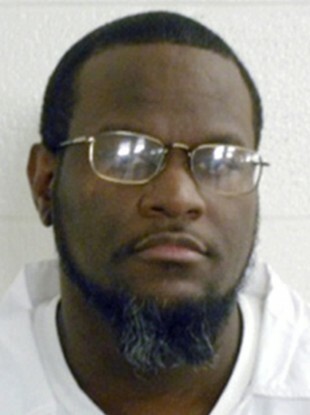 “After the state injects Mr. Williams with vecuronium bromide … most or all of the manifestations of his extreme pain and suffering will not be discernible to witnesses,” they wrote to the Arkansas Supreme Court, which rejected his request to stop the execution. The US Supreme Court also denied requests for a stay, including one that argued his claims of intellectual disability had not been fully explored. Williams was sentenced to death for killing Boren after escaping from the Cummins Unit prison in a barrel holding a mishmash of kitchen scraps. He left the prison — where the execution chamber is located in another part of the facility — less than three weeks into a life prison term for killing University of Arkansas cheerleader Dominique Hurd in 1998. Email “Arkansas execution spree ends after another man is put to death”. Feedback on “Arkansas execution spree ends after another man is put to death”.